THIS week, five-year-old Miles hopped on his bike to ride to his Collingwood school. The fact that he can is thanks, in part, to another group of riders who annually tackle a substantially longer course as part of the Ride for Sick Kids. 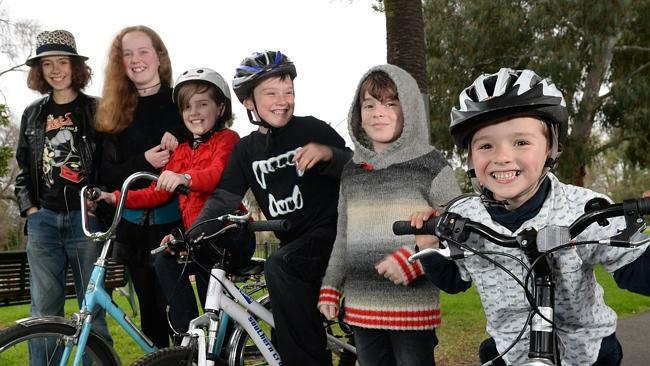 This year, 30 riders will set off tomorrow on an epic 500km challenge across Tasmania and Victoria to raise money for sick kids ­supported by the Ronald ­McDonald House Charities — children like Miles. In 2009, when he was just one year old, Miles was ­diagnosed with juvenile ­myelomonocytic leukaemia, a rare childhood leukaemia. Cord blood from his older brother Jasper’s umbilical cord was able to be transplanted and, after months of treatment, Miles is now in semi-remission. Unfortunately, he is still battling memory and cognitive fatigue. 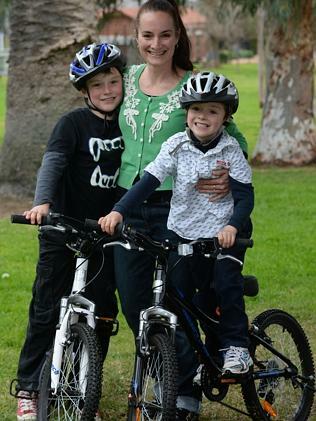 Miles’ mum, Dani Ford, said Ronald McDonald House gave both her sons ­bicycles, which they not only enjoy but were also ­important for Miles’ health. To tackle his memory and cognitive fatigue problems, Ronald McDonald House has also funded an occupational therapist who visits Miles at school to help with his progress. Ms Ford said knowing there were people actively fundraising to help children such as Miles meant a great deal to their family. “When a child is sick, there are so many aspects of family life that are ­disrupted. “But other kids still have to go to school, there are bills to pay and kids to feed. “­Organisations like Ronald McDonald House step in and help families with whatever they need,” she said. This year is the fourth ­annual ride and organisers are aiming to raise $600,000. Hoddle St McDonald’s ­licensee James O’Rourke said it was an important fundraiser for programs that provide a place for out-of-town parents to stay while children have treatment in hospital, but also providing ongoing care and support to families.